During World War I, the United States armed forces remained segregated. Many African Americans registered for the draft as well as served in WWI. Over a quarter of a million African Americans served in WWI. Many of them were relegated to support roles and did not see combat. However, there were some distinguished units among the African American soldiers, for example the 369th Infantry Regiment known as “Harlem Hell fighters,” stayed on the front lines during the war for six months. One-hundred and seventy-one members of the 369th were awarded the Legion of Merit. Below are the African American Alexandrians with the “D” surnames. 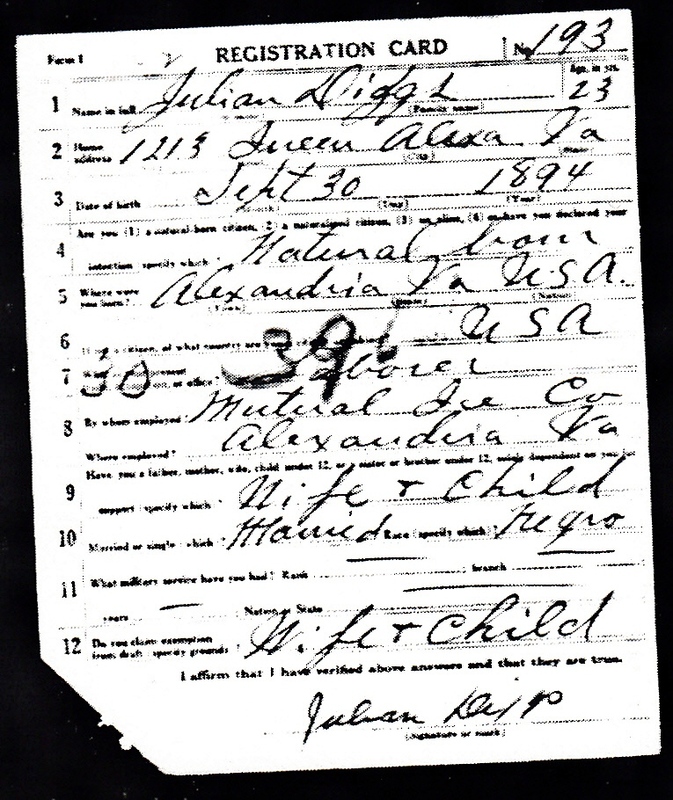 This entry was posted in Uncategorized and tagged Alexandria VA, Julian Diggs, World War I. Bookmark the permalink.